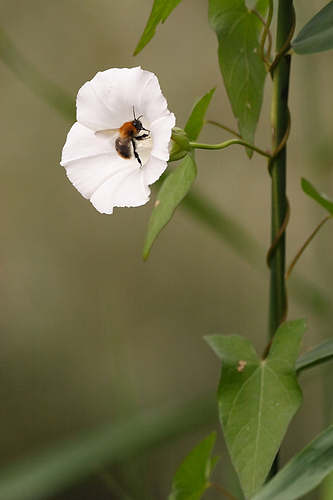 While taking a shot of the Bindweed, this Bumblebee desided to pay a visit. I didn't mind, ofcourse. 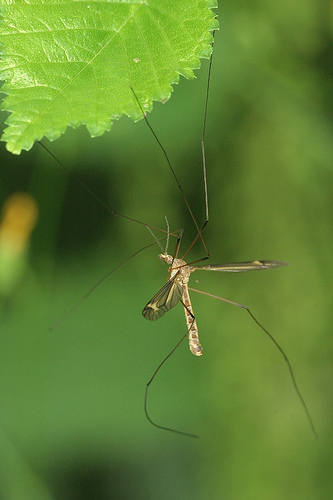 Notice the counterbalance of the wing (just beneath the right wing). 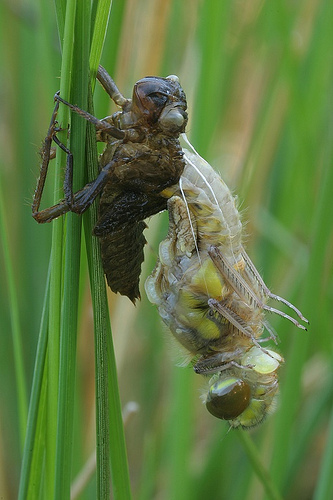 The white lines are sticky supporting "wires" that prevent the dragonfly falling from the pupa. 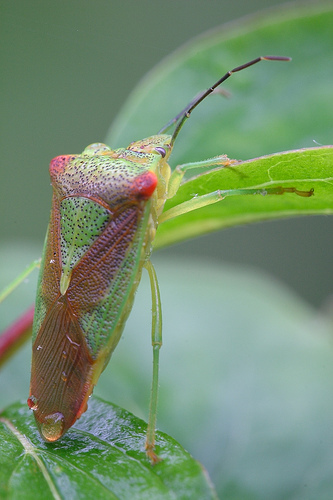 Shield bug climbing over leafs. When your this size, all of nature is an obstacle course.